BoostSales can reinvigorate your online brand and boost your online sales with customized campaign-focused digital marketing campaigns, which target the right audience and attract potential customers. BoostSales can manage your digital marketing strategy by fine-tuning your online presence on all digital platforms to achieve optimal rankings and increased traffic. 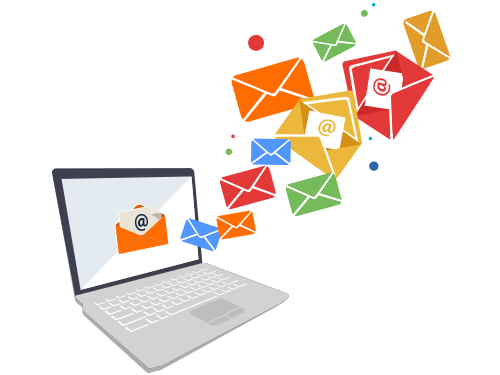 We implement coordinated promotional campaigns which incorporate all channels: SEO, Social Media marketing, PPC Advertising, Targeted Email marketing, SMS marketing, Coupon rewards and more. Our team creates original content and promotional materials that complement your brand identity. BoostSales offers integrated search engine optimization (SEO) and search engine marketing (SEM) solutions to maximize your search engine ranking and performance. Whether you are looking to dominate local search results, capitalize on trending keywords or improve your Google Shopping results, we have the right solution for you. Did you know that your social media marketing strategy can impact your SEO? Our cohesive multi-channel strategies help merchants achieve their conversion goals more effectively. 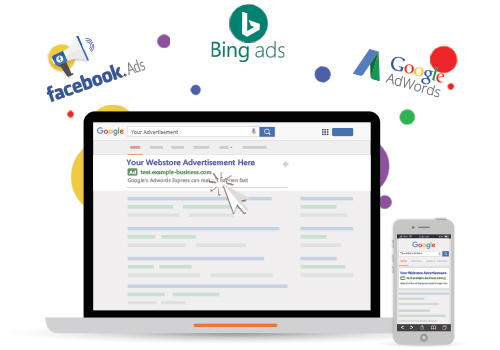 There are multiple avenues for online and mobile advertising to target potential customers across search engines, websites, and apps to attract them to your webstore. Our multi-channel digital marketing solutions have the ability to manage your advertising campaigns to achieve your desired goals. Our team will work with you on a budget and timeline to create and manage Pay-Per-Click advertising campaigns which advertise your brand to the targeted audiences you seek. After opening up your beautiful, sleek and responsive webstore, the next important step is attracting customers. BoostSales’ specialist team knows what your customers want, which keywords they use, and how to attract them to your webstore. We can successfully optimize Google AdWords campaigns so that the right people are attracted to your webstore. 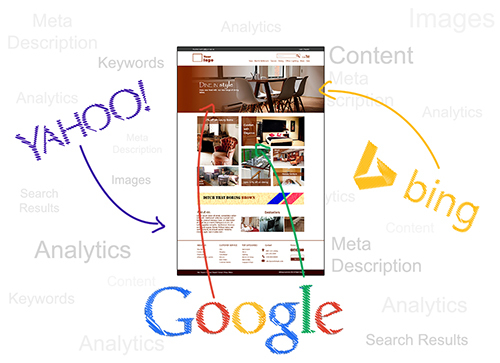 You get a tailor-made AdWords marketing strategy that is cost-effective and improves results. But what really makes us stand out from the crowd is our unique AdWords performance based model. You only pay us when you are making money on Google AdWords. It’s time to fully harness the power of social media marketing with BoostSales. Our digital marketing team can formulate and implement a comprehensive social media marketing strategy with creative campaigns to help you boost your presence across major social media platforms. With our compelling, interactive social media marketing campaigns, you will be able to connect better with your targeted audience. 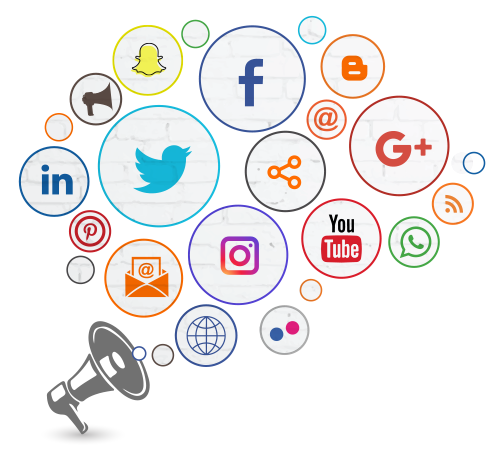 BoostSales manages your social media presence in a way that not only attracts new customers but retains existing customers’ interest in your brand. BoostSales’ multi-channel E-Commerce Platform also has integrated social media functionality that enables merchants to automatically list new products on social media sites. We assess your current social media footprint and identify the critical social media platforms to focus on to meet your marketing and branding objectives. Our team collaborates with you to develop a tailor-made social media marketing strategy with a clear ROI. We create innovative social media campaigns with original content and launch them across the chosen platforms. We target the campaigns to custom audiences that match your target demographics. We also explore opportunities with key influencers with matching audiences. We monitor the performance of the campaigns, perform A/B testing and fine-tune elements to ensure maximum effectiveness. BoostSales helps merchants easily monitor the success of their SEO, SEM and digital marketing campaigns. 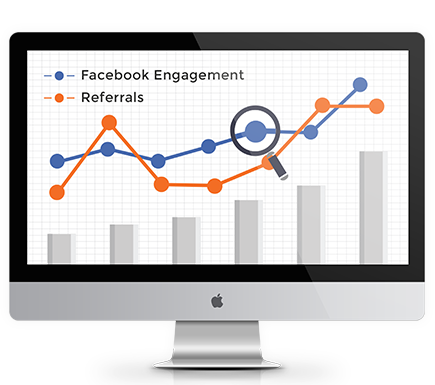 Our customized analytics setup for your webstore, social media accounts and PPC advertisement campaigns will enable you to monitor your digital marketing results in real-time and measure success through a number of KPIs. We put actionable data at your fingertips so that you have the information to make optimal strategic decisions and marketing action plans that result in maximized sales. 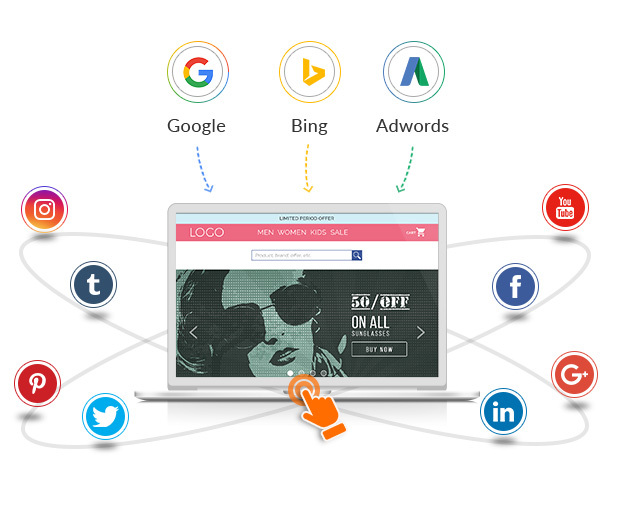 Our multi-channel digital marketing solutions include promotional campaign creation, PPC, social media marketing, targeted email marketing, SMS marketing, coupon generation, rewards & cashback campaigns. Our managed service allows merchants to not only increase their sales through comprehensive marketing campaigns, but also to stay connected with their existing customer base through retargeting campaigns. Learn more about our in-depth E-Commerce analytics service by clicking on the button below.